This afternoon I have a Just Because Easel Card. I waned to create a scene card with lots of fun elements and dimension. I'm very please at how this turned out. What a nice card! 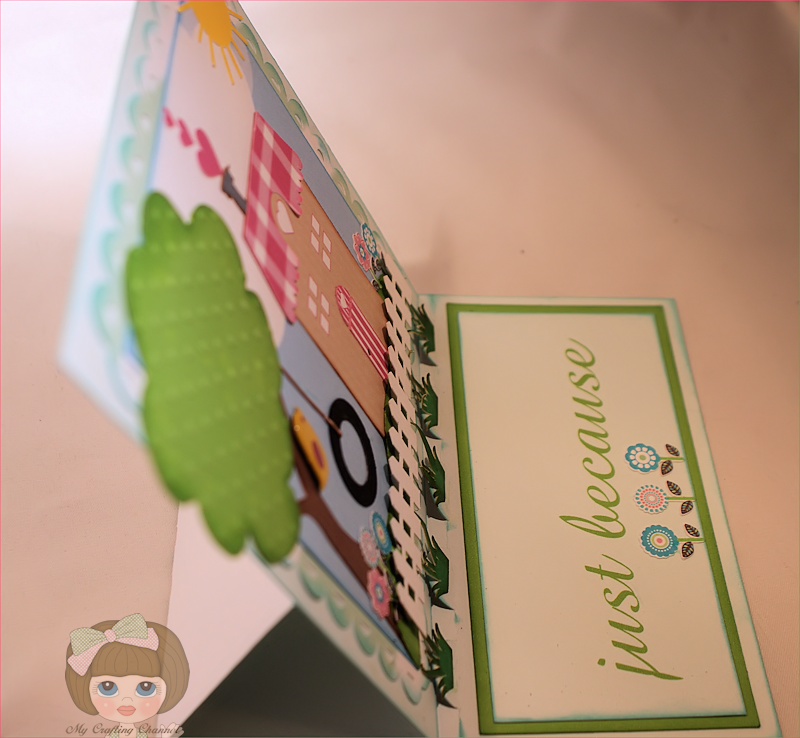 I haven't made an easel card yet, but I love the scene on yours. It looks like a very friendly neighborhood! Thanks for linking to Cut it Up Challenges! I just love this! Nana, you did such a wonderful job on this! This is absolutely first rate all the way! High fives and two thumbs up! 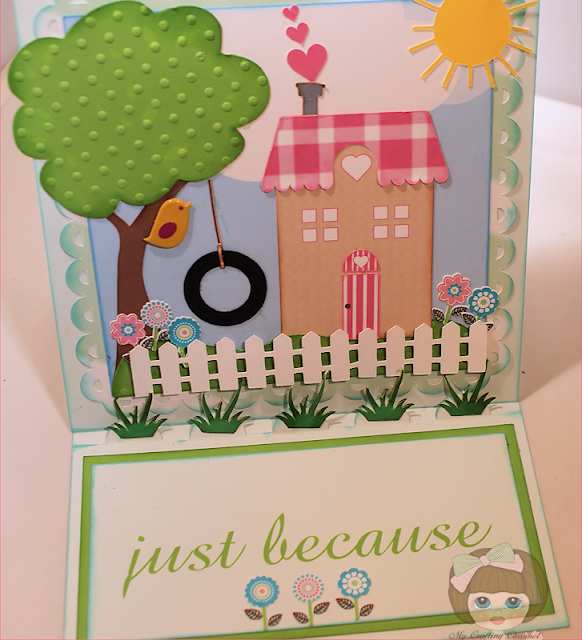 Love the pretty scene you have created.....it just perfect, great card! Such a Perfect and BEAUTIFUL house, that's my house..I think I fit in it..lol! This card is beautiful! I want to go and stay at that cute house for a weekend! thanks for crafting with us at Cut it up! Very sweet card Nana, love the beautiful spring scene. Gorgeous!! Love all the fun details. Oh my goodness, this is so awesome! The scene is beautiful and love all the details! Great card. So many beautiful details. Thanks for joining us at Whimsical Designs. What a sweet card. I love all the pastel colors! The embossed tree, and the little birdie are perfect. Thank you for joining us at Whimsical Designs. Fabulous card! Love the design. I have the bird brads too and never thought to use them this way. ;) Thanks for joining us at Cut it Up Challenges! WOW Nana! What a magnificent combination of Silhouette designs! 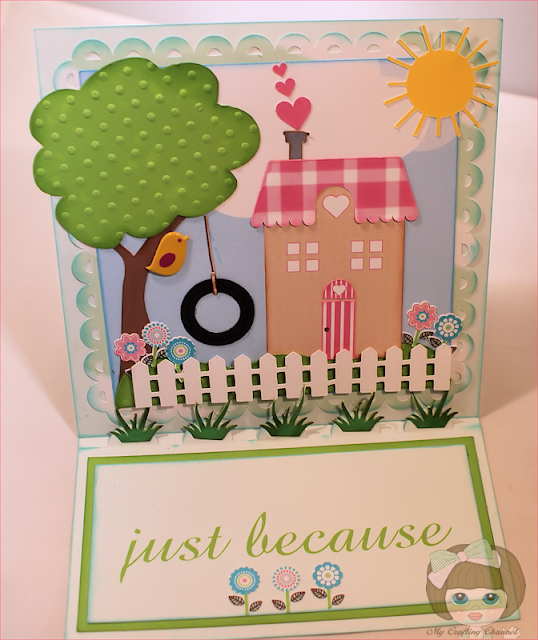 Love your pretty Spring scene and lovely design! OMG this is sooo adorable. I love it. Oh now that is just sooooooooooooooooooooooooooooooooo cute! OMG! way to cute:) Thank you for stopping by and enjoy the rest of your day!! O.K. This card is beyond cute! Love the colour you used it just yells...... bring on the summer fun! Very sweet card, love the layers and colors. Thanks for joining Cut It Up challenge.